It's the end of the month already! Time flies! Ready for some random swatches? Oh yeah, there's only one today! haha Short and simple! I have a fun post for you all this Tuesday. 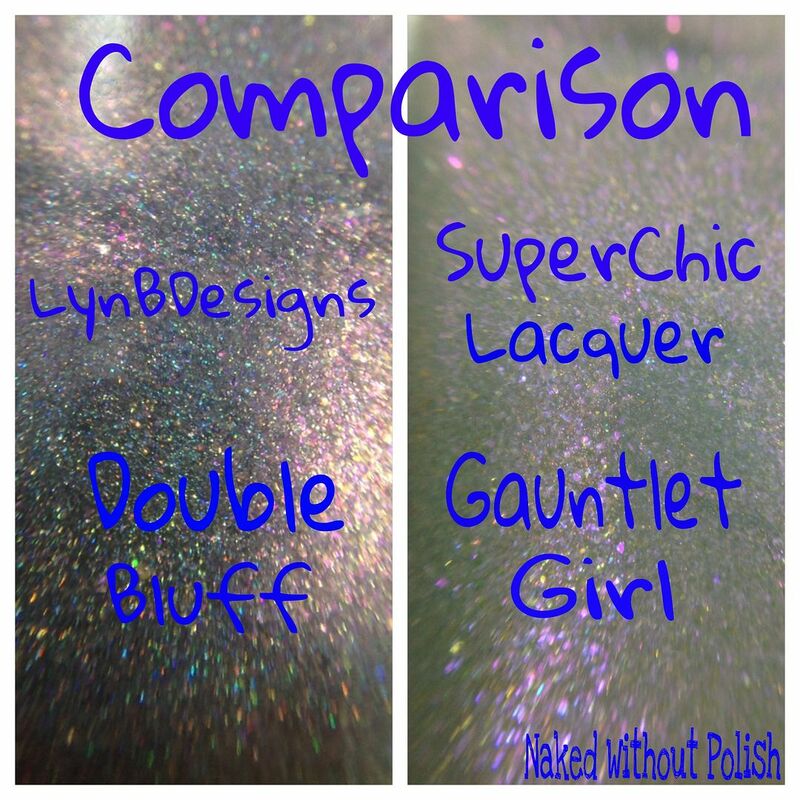 When I was swatching the Hero Collection from SuperChic Lacquer, I thought that Gauntlet Girl had a little resemblance to LynBDesigns Double Bluff. I had to do a little comparison between the two. Yes, the photo says Moulin Rouge, but due to legal issues, the name had to be changed to the French Fantasy Collection. 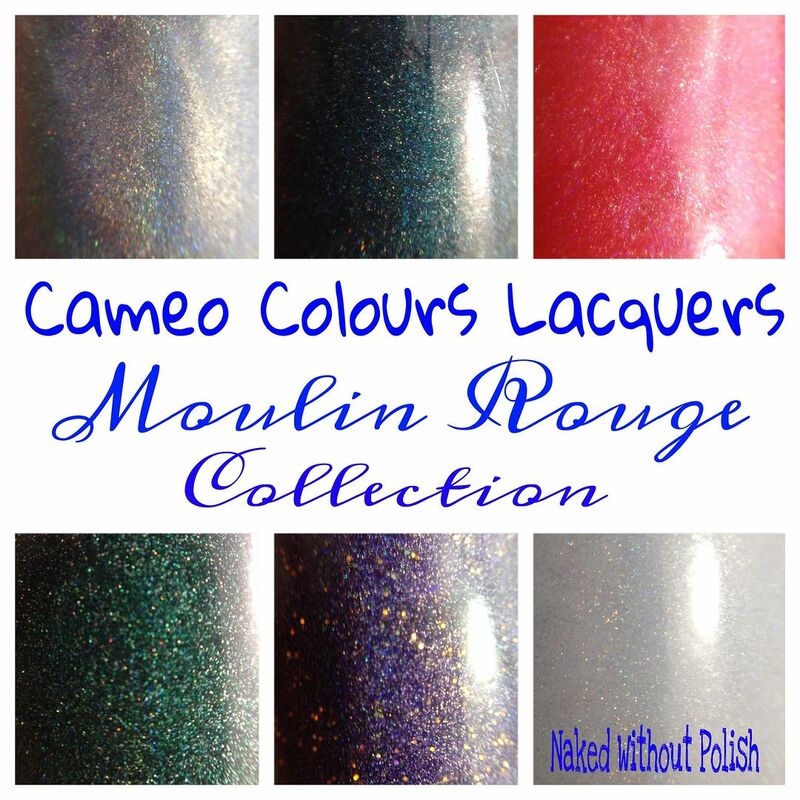 Today, I've got the gorgeous French Fantasy Collection from Cameo Colours Lacquers to show you all. This is a set of six linear holographic polishes inspired by the film, Moulin Rouge! This collection has slowly come together. 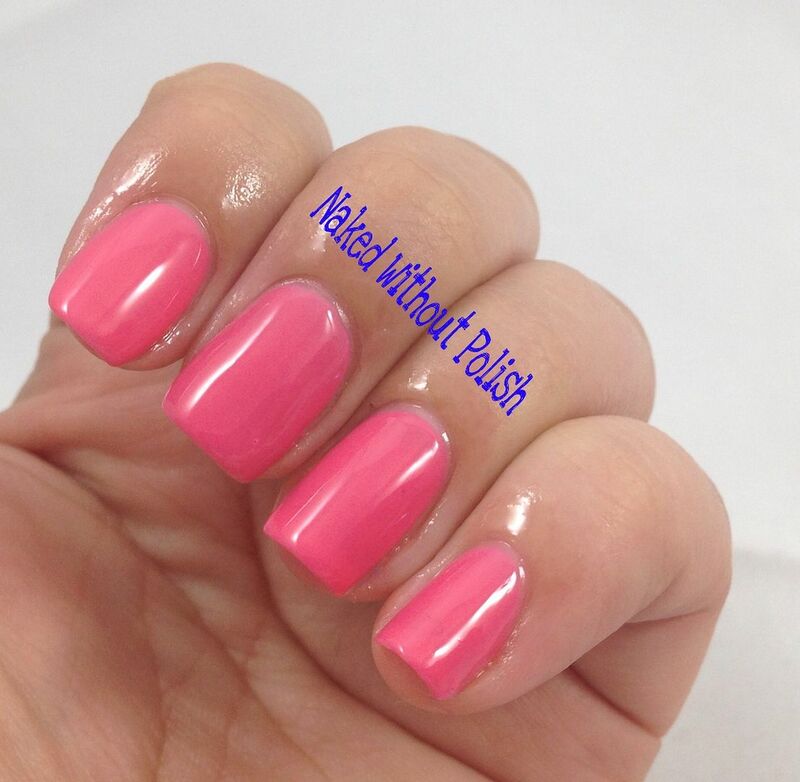 Polish by polish by polish. It's not a new collection, but this is the final...maybe, maybe not...result! I'm in love, and I know you will be too! It's Friday!!! Was everyone else looking forward to today like I was? This has been one hell of a week. To keep me sane, I've been swatching a ton! 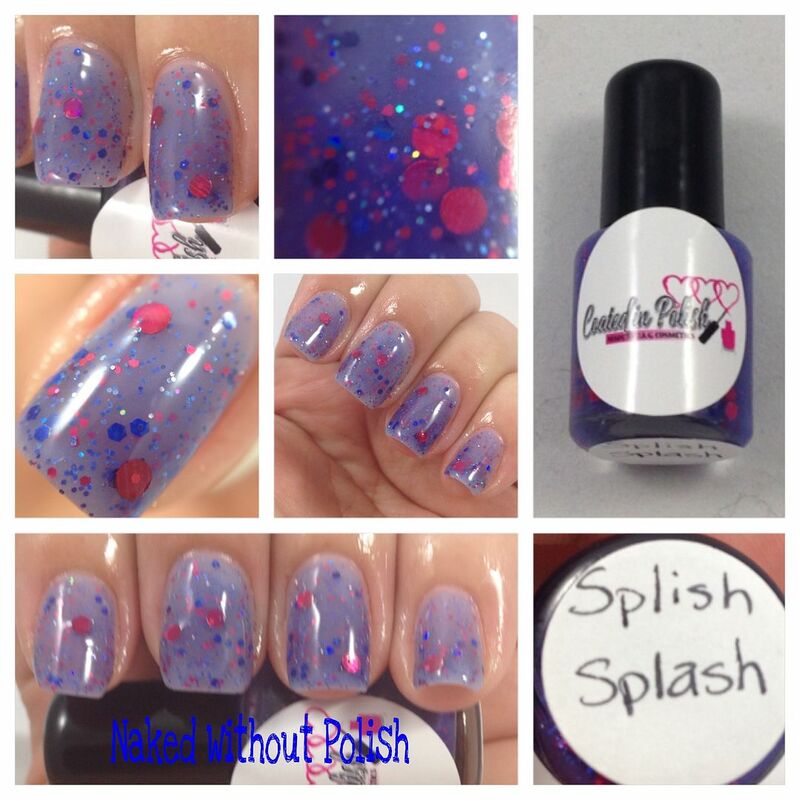 Today, I get to show you all some polishes from a new collection from a new indie! 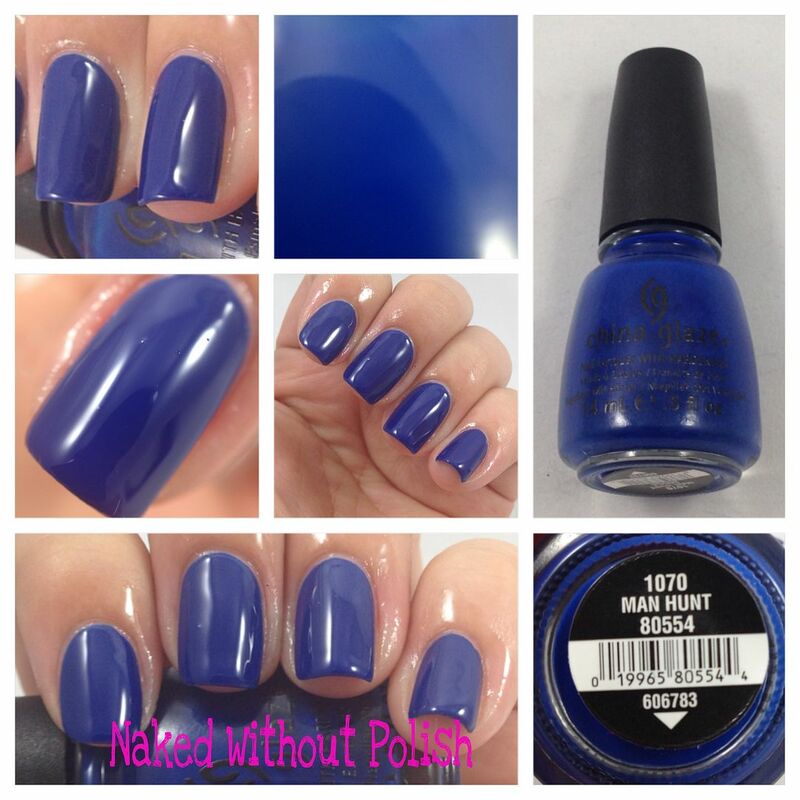 This is the Spring into Summer collection from Coated in Polish. I don't have the whole collection, but I think you'll enjoy what I do have to show you. Go Green is described as "a pastel green crelly". 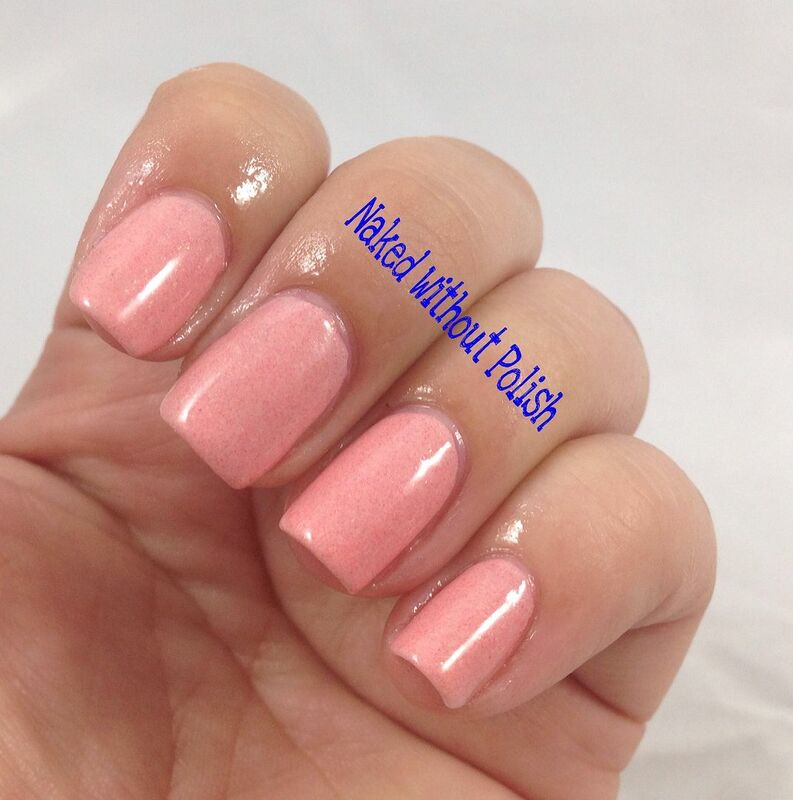 This is three coats for full opacity. In addition to all the above polishes, I was sent a sample of Perfect Ending top coat. The top coat was great and was dry within 5 minutes (I timed it). I used the top coat on ALL of the above swatches. The only downside was the smell for me. 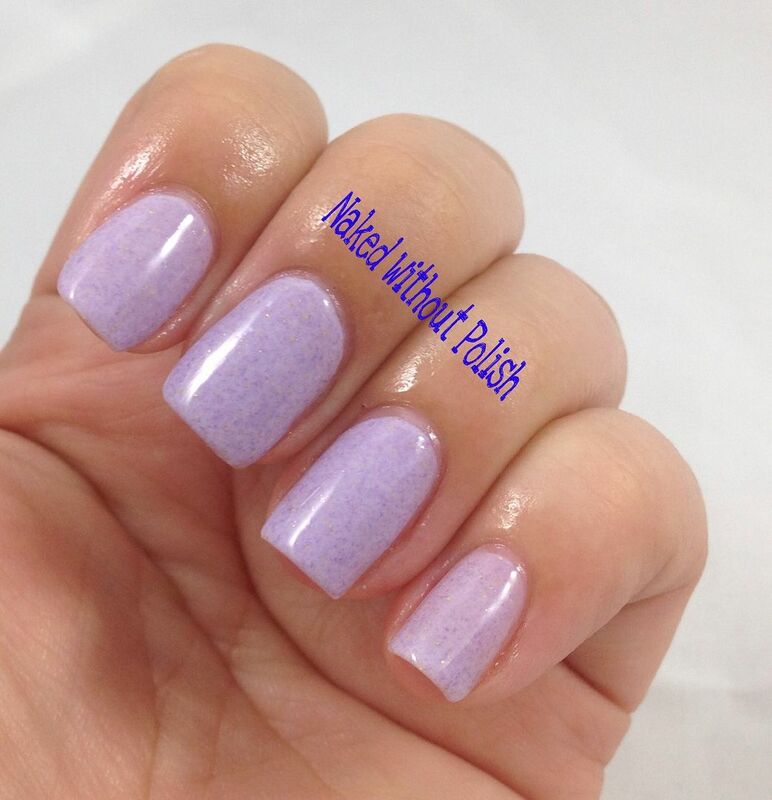 I get headaches easily, and the smell was that of Kleancolor polishes. I know a lot of people don't mind the smell, I just need to make it known so it's not a surprise. Once you get past the smell the top coat is great! Especially since it's only $5.50. What do you all think about these? There's a variety here and a few more that I didn't receive. The other polishes in the collection that I didn't receive are: Heat Wave $9, Morning Sunshine $8.50, Starry Summer Skies $8, and Bahama Mama $9. 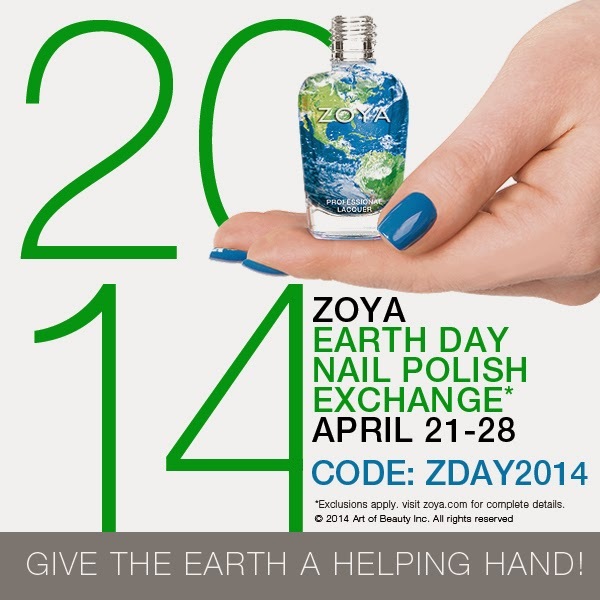 All in all they are good polishes. Especially for such a new indie! Definitely a few worth checking out! New indies are always fun to find and keep an eye on to see how they grow! 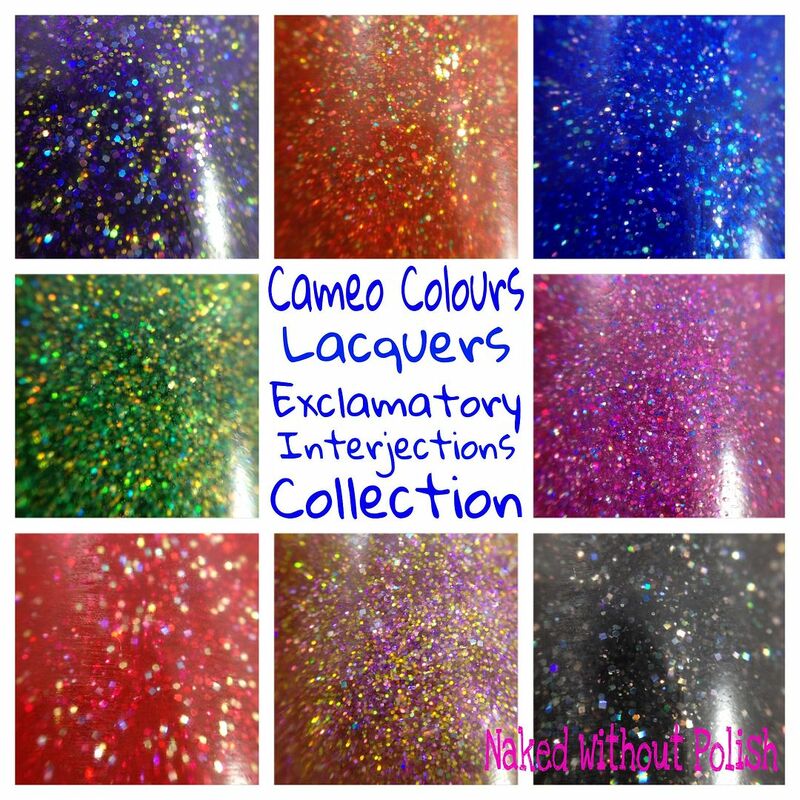 I've got yet another lovely collection from Cameo Colours Lacquers to show you all today. 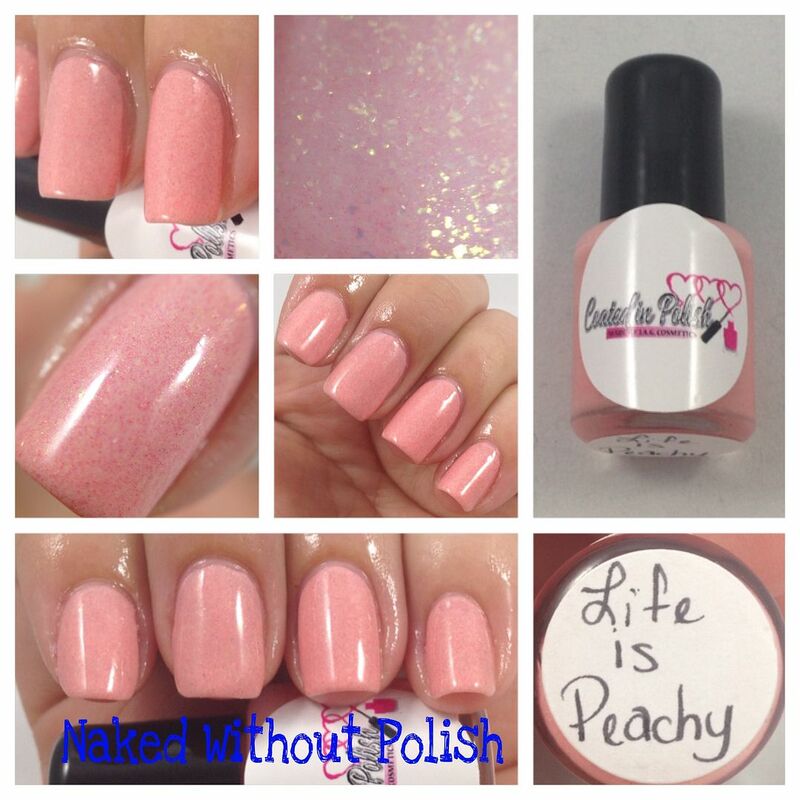 This is the Exclamatory Interjections Collection that was released the same day as the Blogger Beauties Collection. 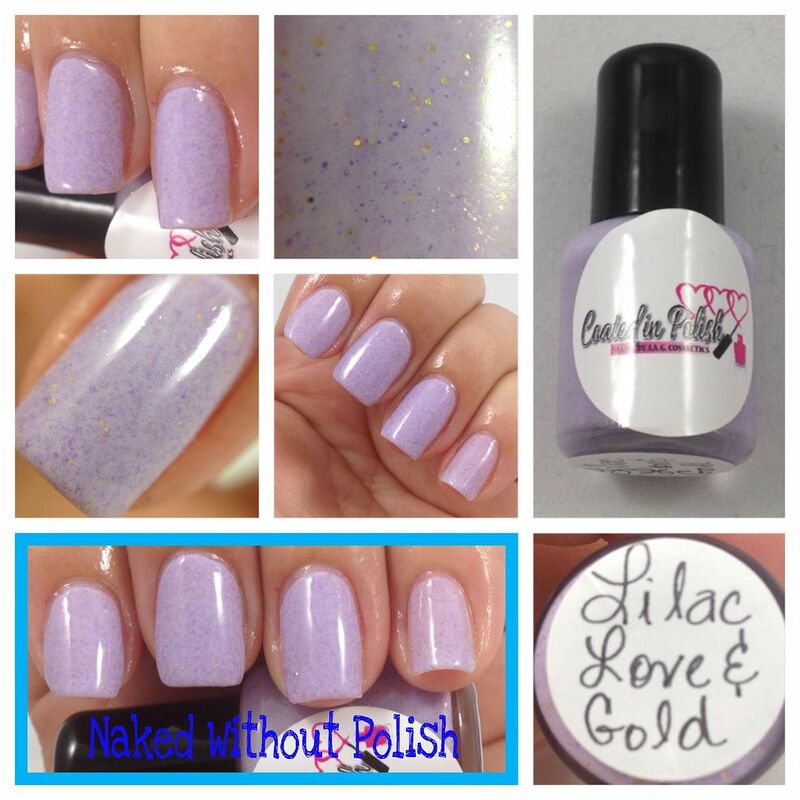 It's an eight piece collection of micro glitter polishes that are full of so much sparkle it'll blow your mind. They are all named after words that are exclaimed loudly for different reasons. When these beauties arrived I could barely contain myself! Now, let's show these puppies off!! Happy Wednesday to all!! 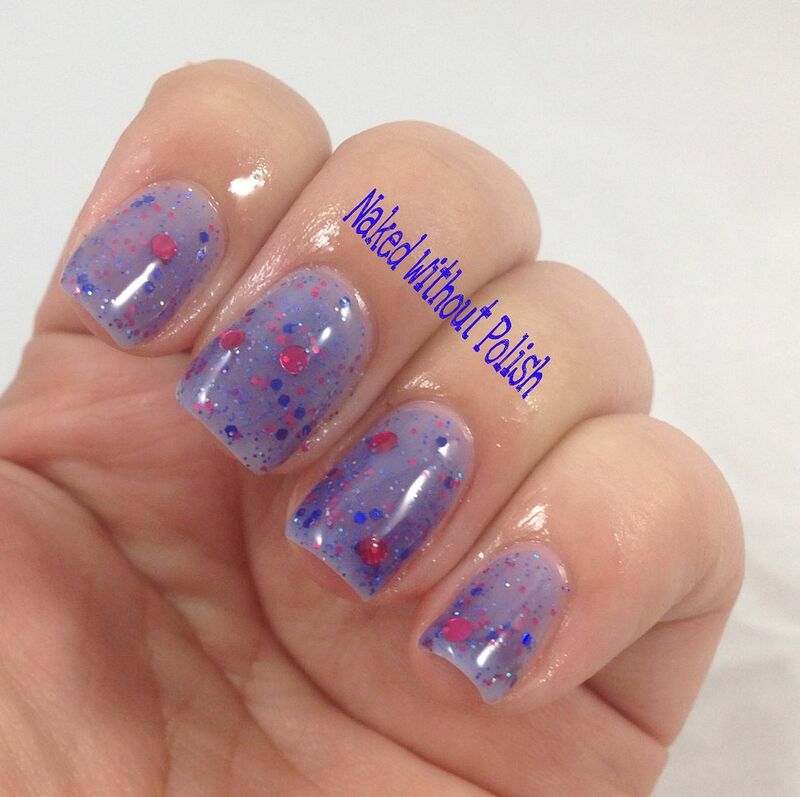 On Monday, I showed you the lovely Hero duo from SuperChic Lacquer that was exclusive to Gloss48. Today, I get to show you the stunning Day Tripper Collection from SuperChic Lacquer that will also be releasing on Gloss48, but these beauties won't be exclusives. It's Monday!!! Can you believe it's almost May?! Where has this year gone? Time flies when you lose yourself in glitter...huh? I've got a stunning duo from SuperChic Lacquer to show you all today. This is the Hero Collection. It will be released on April 23rd (Wednesday) and will only be available on Gloss48.